My cousin, Michele, and her husband, Kevin, are both lawyers. But instead of amassing fortunes in legal practices, they are currently living in Pune, India, where Kevin provides legal services to poor people and Michele teaches at a university. Michele sends email dispatches from time to time, the most recent being about the foods they eat there. Her emails have given me a serious hankering for Indian food. I was introduced to Indian food by a friend named Karuna. She was from Bangalore, India, and lived in Rochester when we were both in our 20s. 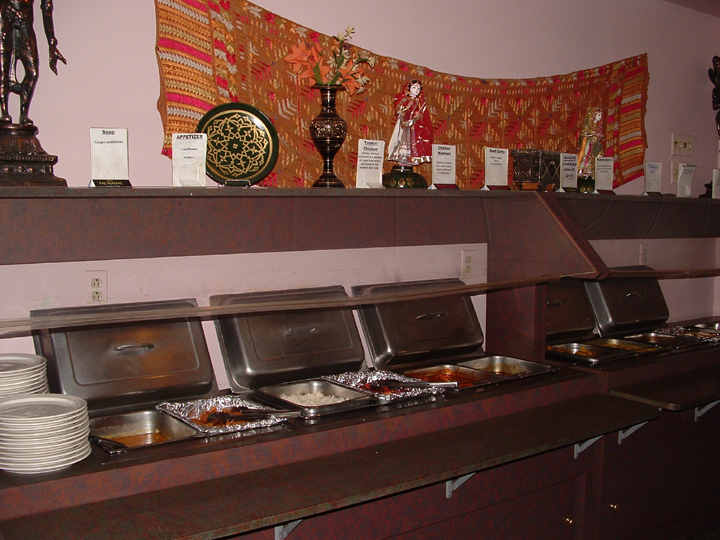 One night a group of us went to an Indian restaurant (in the former Loehmann’s Plaza), and she ordered an interesting and delicious assortment of dishes and condiments for us all to try. It was a fun evening and a great way to try a new cuisine. At about the same time, I went on a business trip to London and had an evening on my own. Having heard that London had great Indian food, I ventured to an Indian restaurant and was able to select a delicious meal thanks to Karuna. Unfortunately, I lost touch with Karuna when she moved back to India – if only we had email back then! Anyway, when a friend suggested that we go out for the lunch buffet at India House restaurant, I gladly agreed. 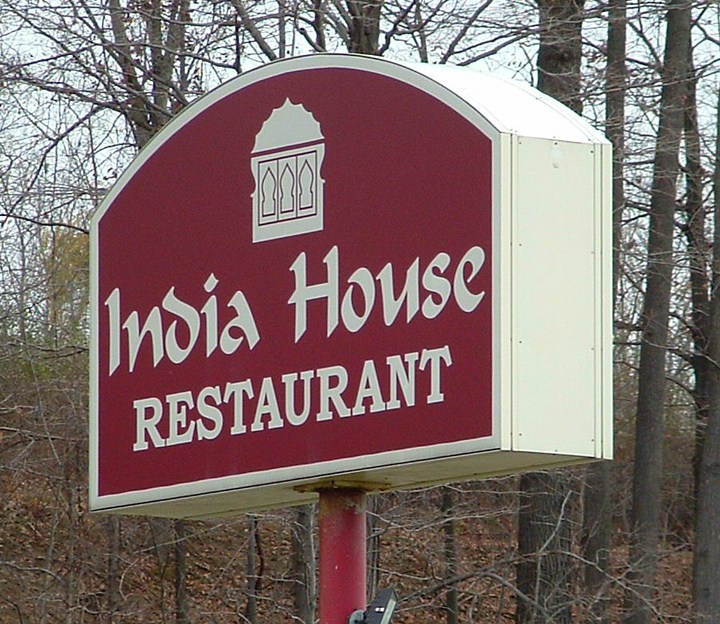 India House is on Route 96, about five minutes away from Eastview Mall. 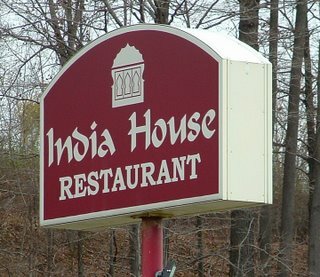 I've been to the India House in Rochester a few times, but I hadn’t been to the Victor location. The Victor location appears to get a lot less lunchtime traffic; only about five tables in the large dining room were occupied. Our waitress was friendly and helpful. She took us to the buffet to explain all the dishes, and was prompt in refilling our beverages. That day, the buffet items included ginger cauliflower soup, cauliflower fritters, tandoori chicken, chicken makhani, beef curry, rice, a carrot and potato dish, daal (lentils), nan (bread) and rice pudding. A cold area held some veggies, pickles, and condiments including tamarind chutney and raita (yogurt sauce). From what I can discern from Michele’s emails, these dishes are mostly representative of the Northern part of India. The cauliflower fritters had a spicy batter that nicely complimented the mild, tender cauliflower. Although they were deep fried, they weren’t heavy or greasy. The tandoori chicken was moist and flavorful. The chicken makhani, on the other hand, had dry chicken, and the pieces of beef I got in the curry were gristly. I enjoyed the carrot and potato dish; the sweetness of the carrots was a nice contrast to the spiciness of the other dishes. The daal was soupier than some versions I’ve had. Frankly, I would have been happy with just the warm nan dipped in daal and raita. But that’s just me. Lunch, with beverages and tip, came to $12 each.